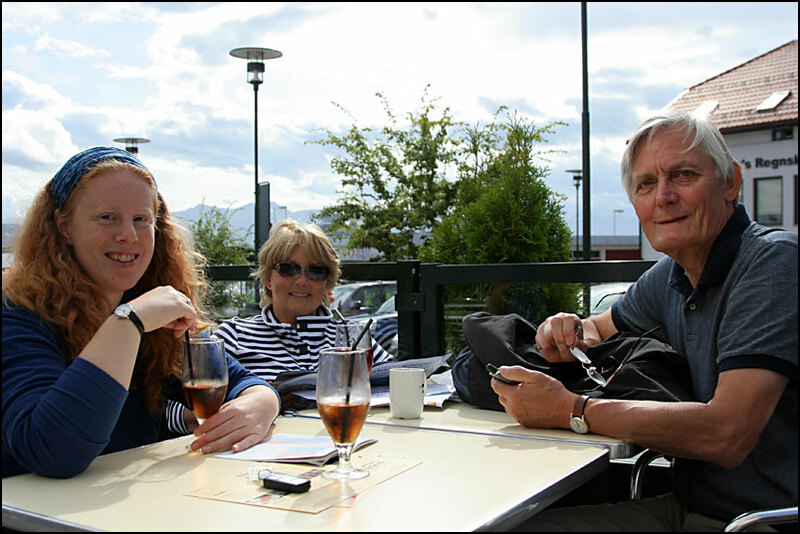 We joined Paul’s parents on a trip to Ålesund from August 20-24. We flew from Tromsø to Trondheim, where we rented a car. 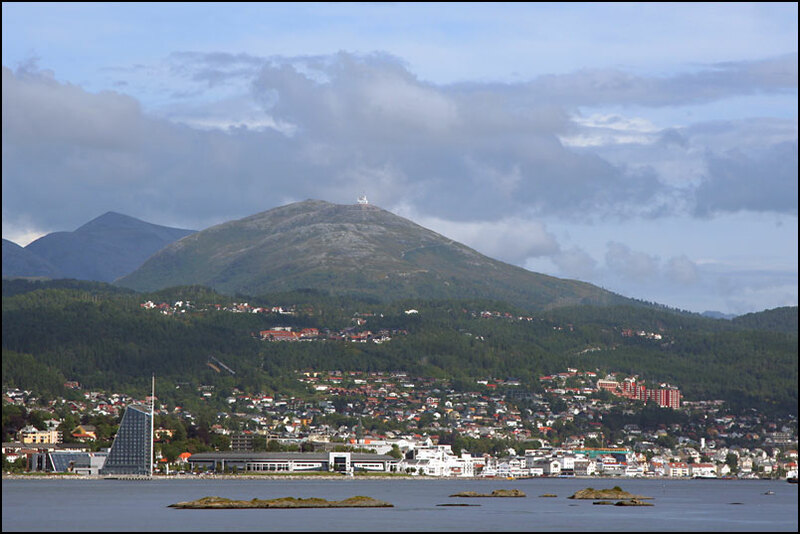 Our destination for the first day was Molde. 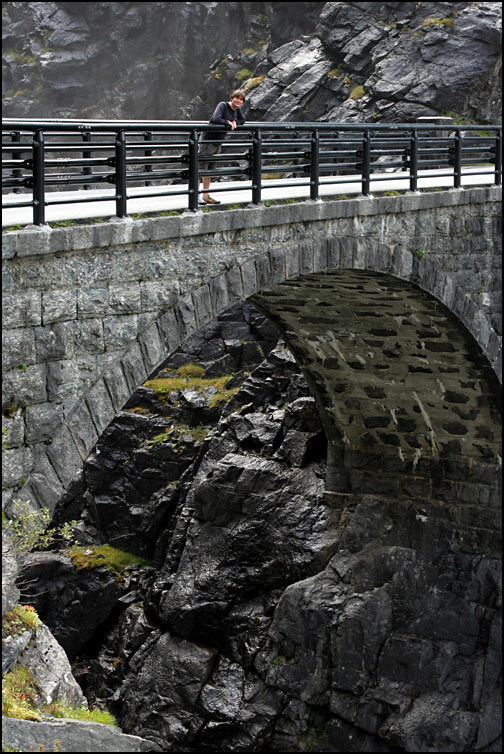 We noticed a difference with the north of Norway… around Trondheim you often have to pay toll for crossing bridges or tunnels! The drive was scenic though and included a nice crossing by ferry… it was quite windy, but the wind was very warm! 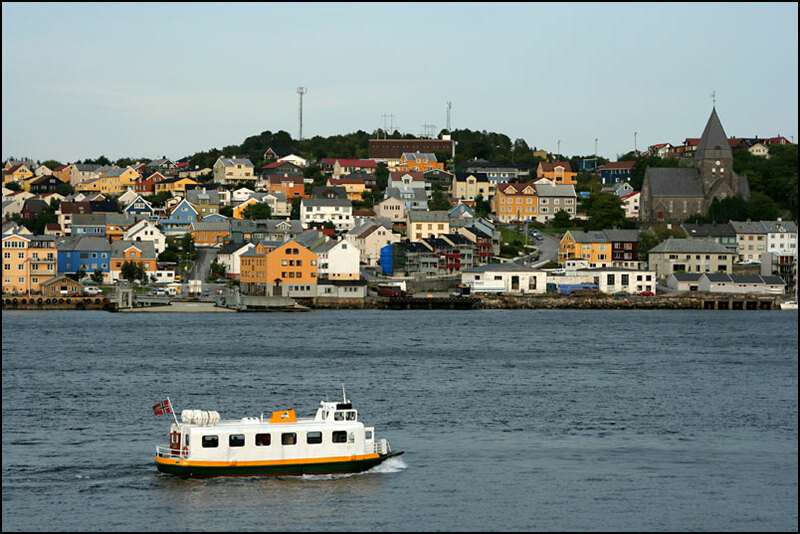 We took a detour to Kristiansund, a friendly coastal town. 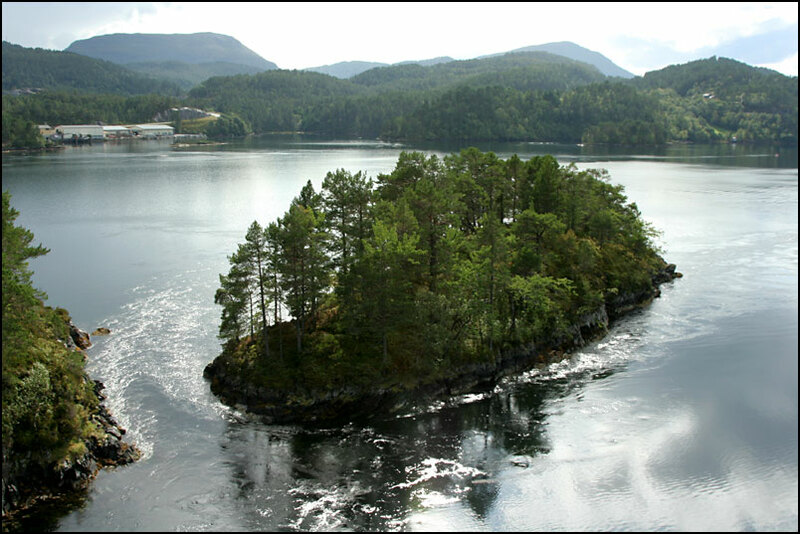 It’s built on five islands, and you can see several small ferries (for foot passengers) crossing to the different islands. 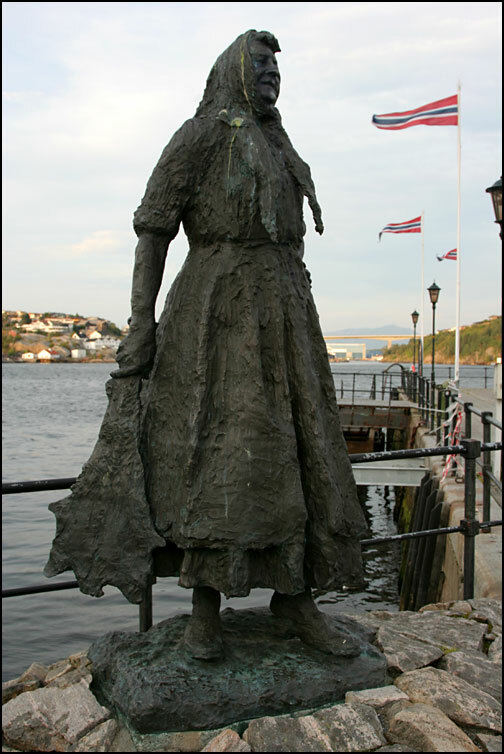 The woman with the clipfish seems to be the symbol of the town. 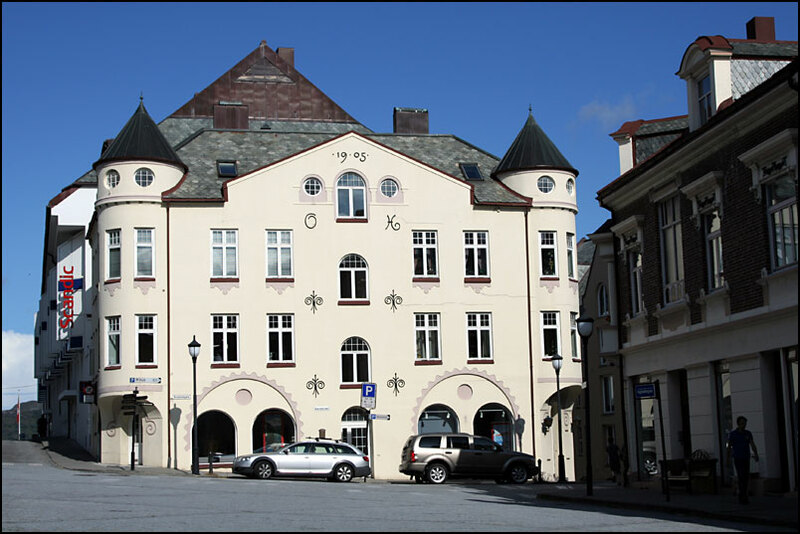 Kristiansund used to be the largest exporter of clipfish in Norway. 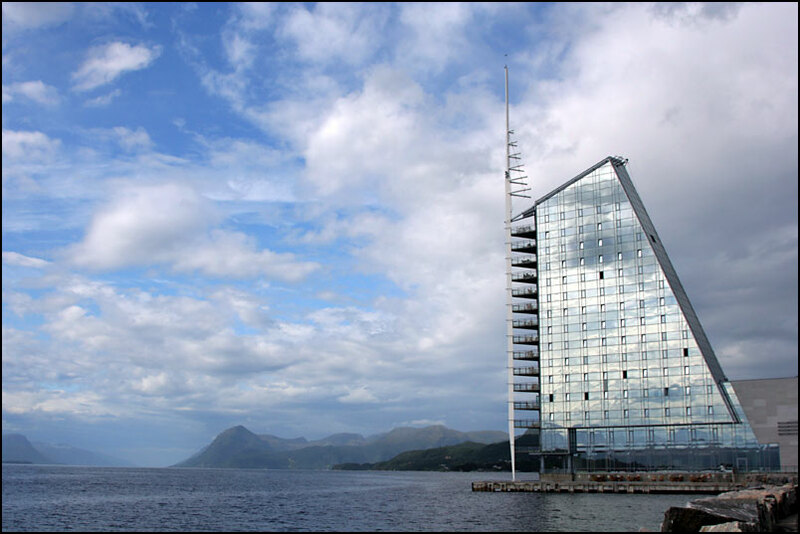 We slept in Molde that night. The next morning we walked around town. 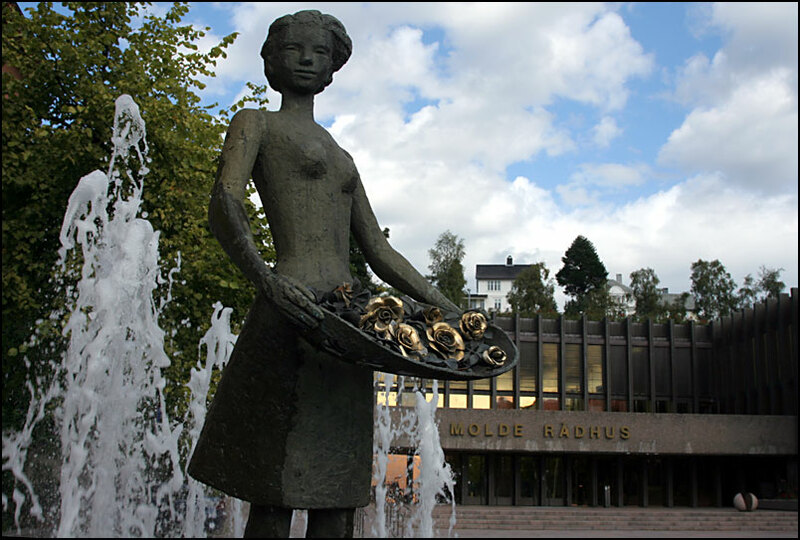 Molde is known as the town of roses, and they have a nice statue of a girl with roses on the main square. 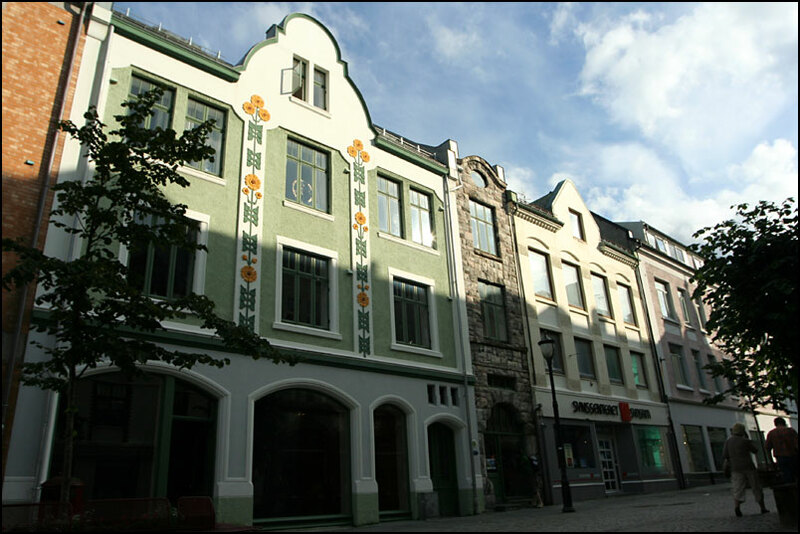 The building on the right is the “Seilet Hotel” or Sail Hotel. Very modern looking, but it really does look like a sailing ship and I love how it reflects the sky and clouds. We had a drink outside in the sun, before getting on the ferry to Vestnes – the photo on the right is the view from the ferry. 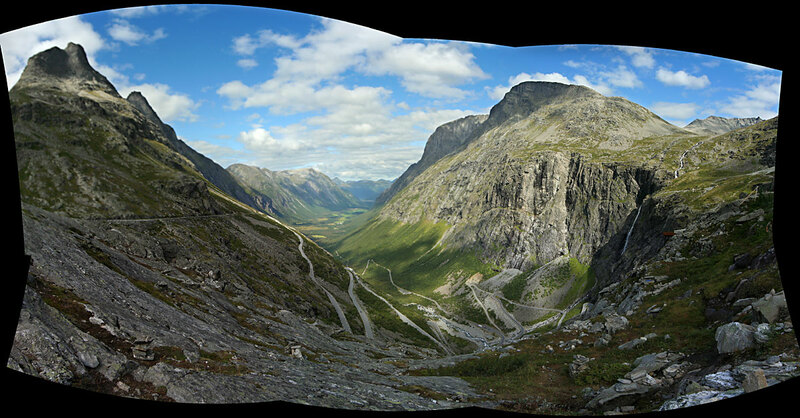 Just before Ålesund, we stopped to look at on old bridge. In the photo below you can see the new bridge, with a rainbow on the left side! From the old bridge (or bridges rather, there were 2) we could see a maelstrom (whirlpools caused by the tidal current). 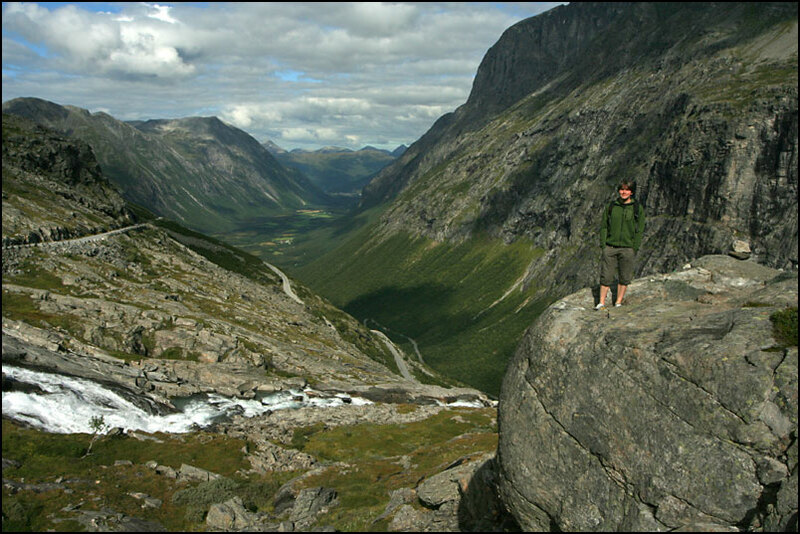 There are some very large ones in Norway, especially in the Lofoten, but we never got to see those. This one is a lot smaller, but still impressive to watch the power of the water. Below you can see the whirlpools forming when the water comes around the tip of the island, and you can also see strong currents in the photo on the right (which is another, smaller island). 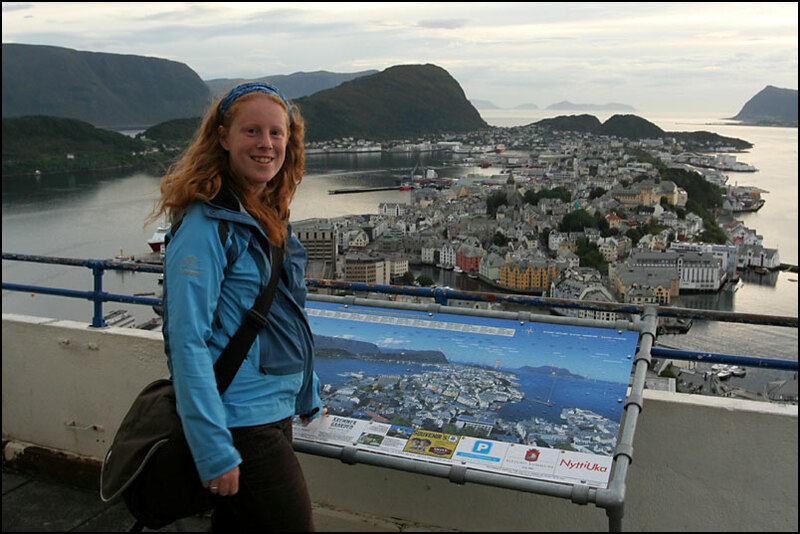 After checking in to our hotel in Ålesund, we decided to climb up the 418 steps to Aksla, the mountain overlooking the town. 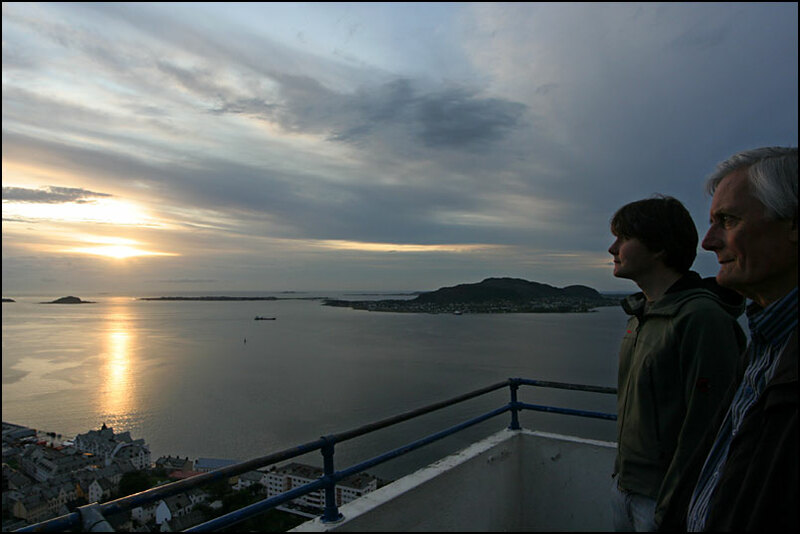 This is a famous viewpoint, and while researching this trip, it was a photo taken from up there that convinced me to come :). We were at the viewpoint around sunset, it was beautiful! The next day we woke up to very sunny weather and blue skies 🙂 So we got to see the town at its most beautiful, we were very lucky! 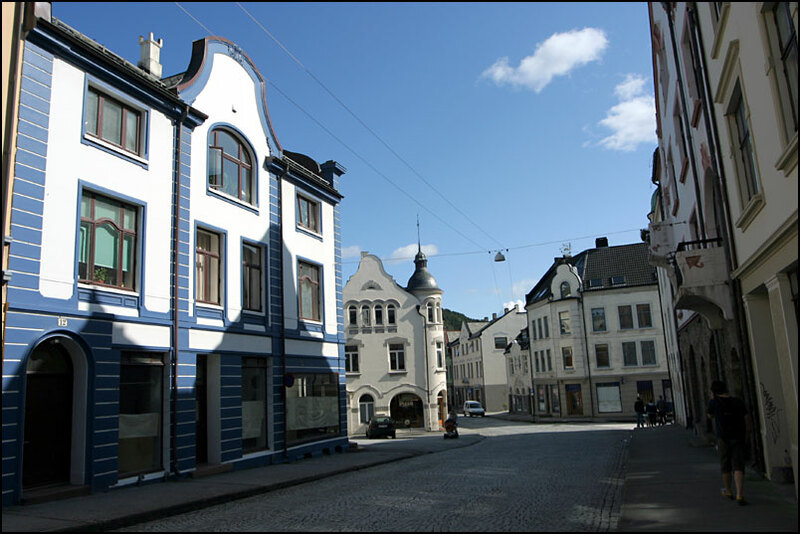 Ålesund is a very special place. It was originally a city full of wooden houses, but in 1904 the entire city burnt down. At this time, there was a crisis in the building industry and many workers were unemployed. 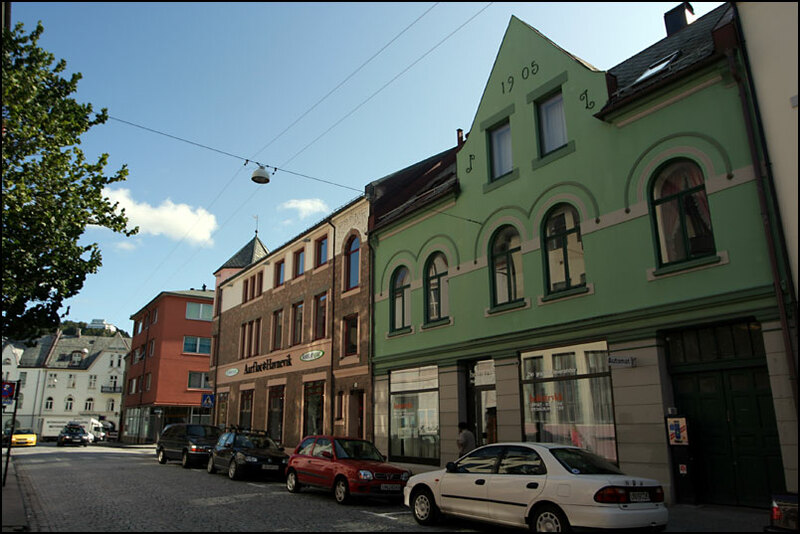 As a result, labour was very cheap and a lot of people came to Ålesund, looking for work. Most of the architects were trained in Germany, and they rebuilt the city in 3 (!!) 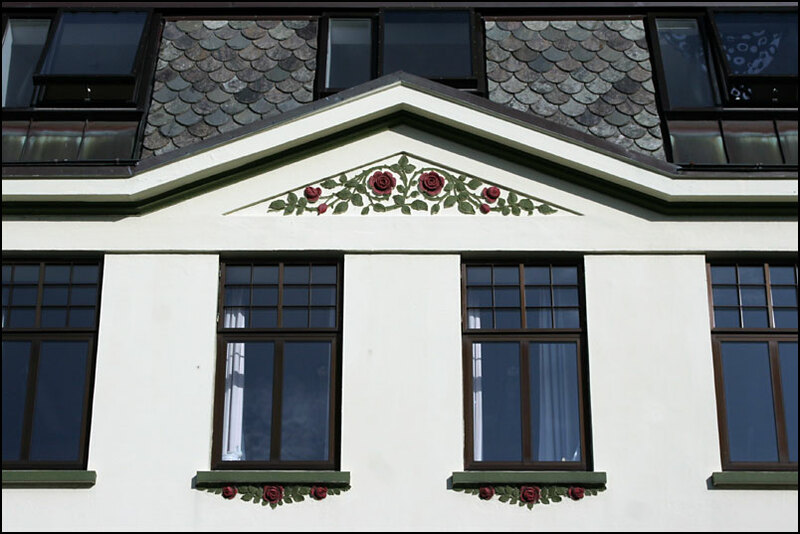 years time, all in Jugendstil (or Art Nouveau) style, mixed with other influences and with the Norwegian dragon style. The result is stunning! We really enjoyed walking around the town, admiring the architecture. 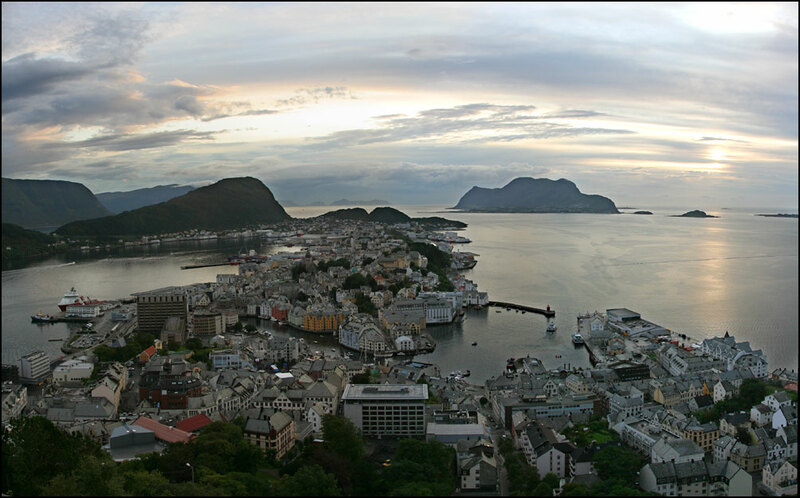 Ålesund was voted the most beautiful place in Norway several times – and I can see why! 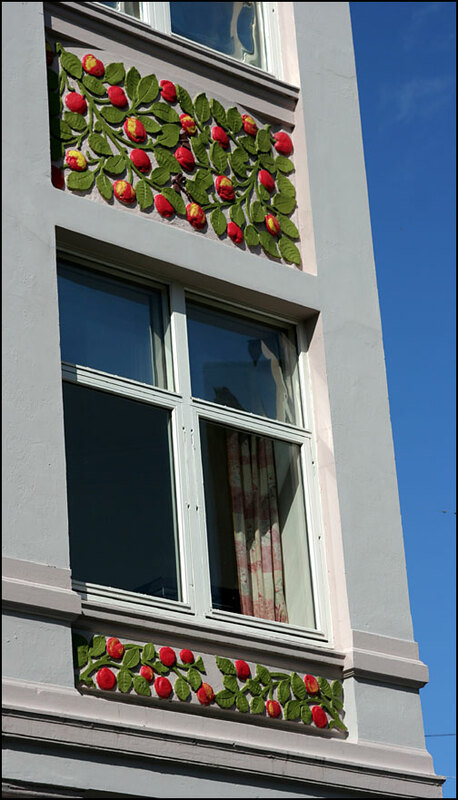 The details on some of the buildings are really beautiful, with motives of fruit and flowers, and animals – like the owl which we found inside the Jugenstilsenteret, a very interesting museum! ally with some big cars coming from the opposite direction. 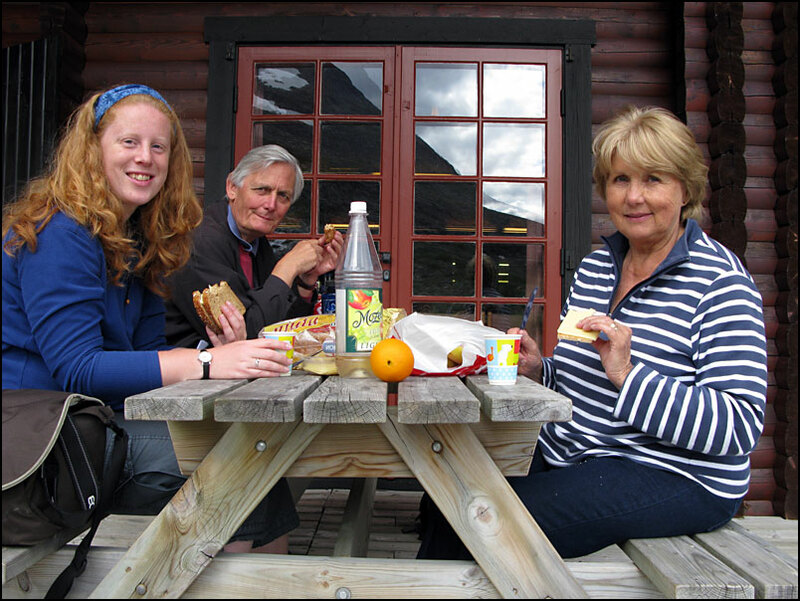 As real Norwegians, we had a picknick outside, before continuing on our way to Trondheim. Paul’s parents flew back from Trondheim to London the next day. Our flight was a bit later, so we spent a few hours walking around Trondheim. 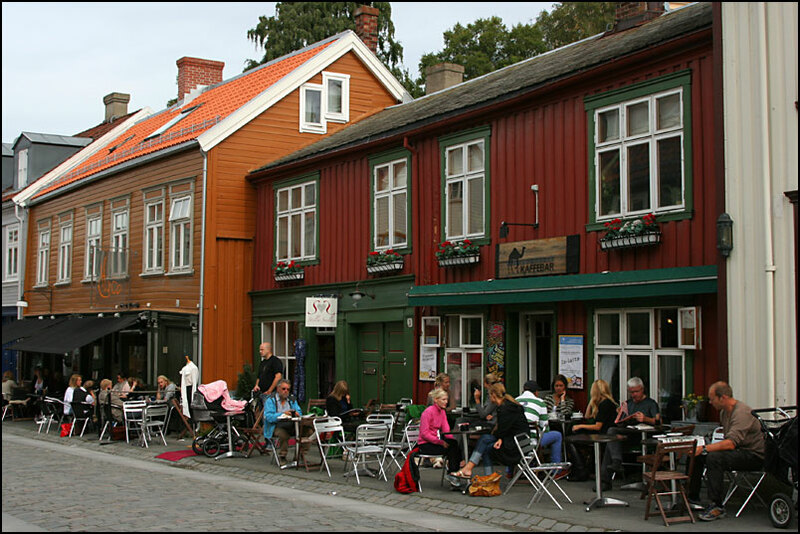 Trondheim is famous for the old colourful storehouses next to the river – very pretty! 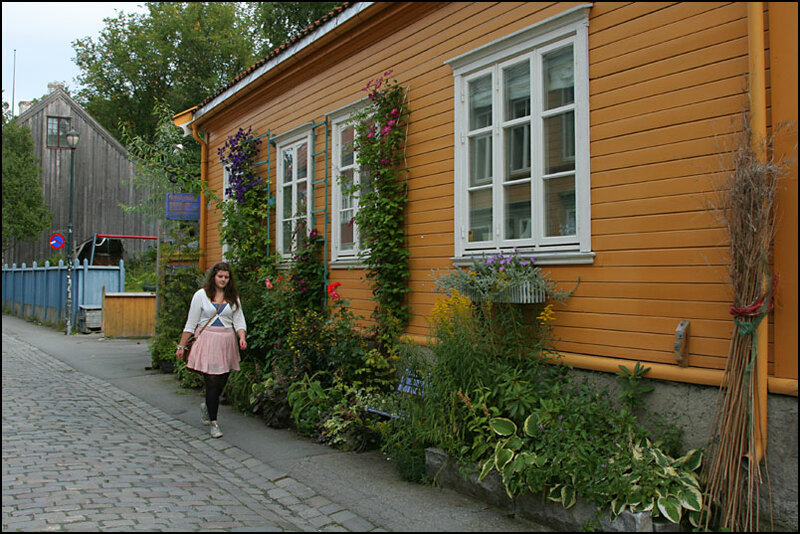 We walked though a very nice neighbourhood with a lot of wooden houses with cafes and small shops. 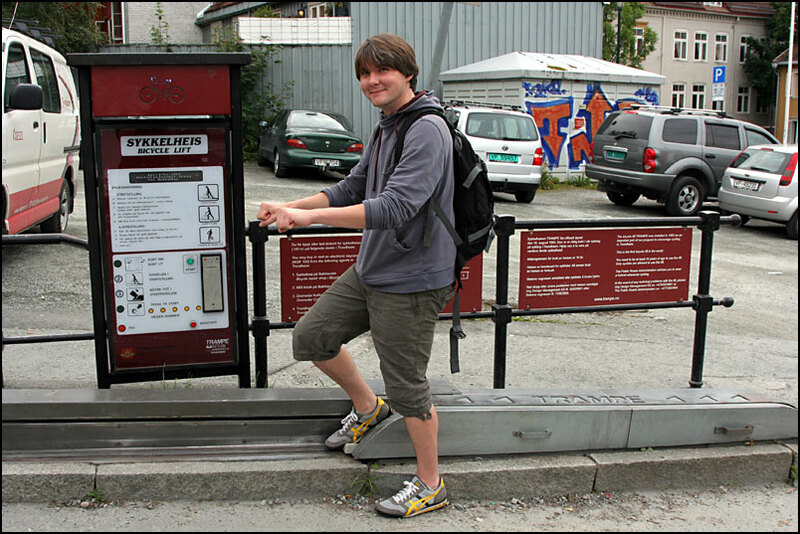 And we found this strange thing… a bicycle lift! 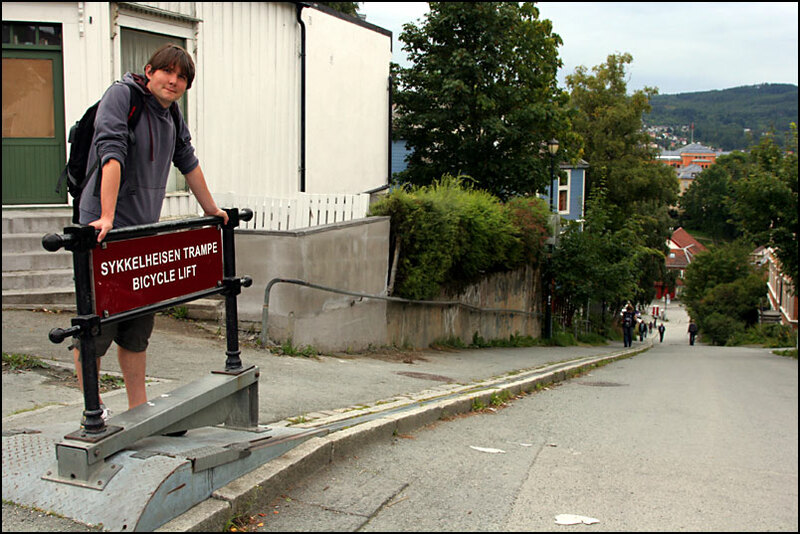 We weren’t able to try it out unfortunately, but you are pushed up with a platform underneath your right feet, as Paul demonstrates with his invisible bike 😉 I wonder how much it’s really used though… the hill is not actually THAT steep, and can be avoided too. While we were there, the only people interested in the bike lift were tourists and the few people cycling up the hill didn’t use it. Our flight back to Tromsø was very scenic! It was sunny and we had great views of the glaciers between Trondheim and Bodø, where the plane has a stop. 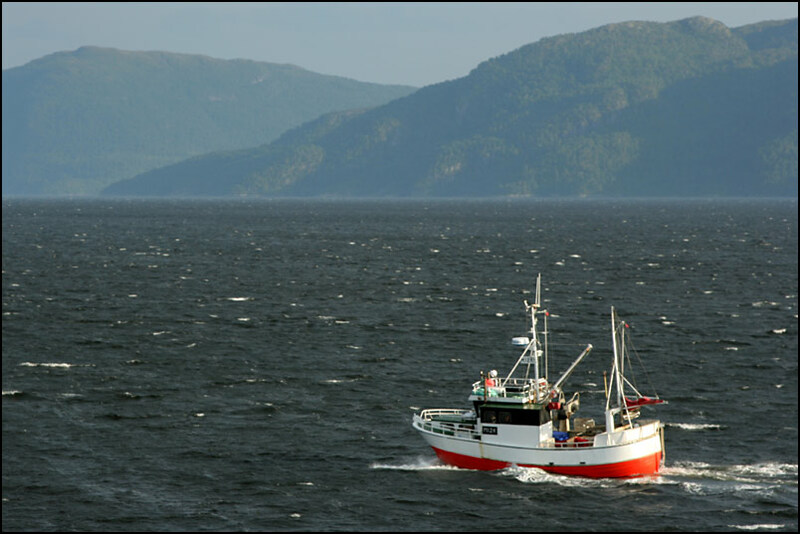 It was a nice little trip, I’m glad we got to see a different area of Norway. I’d love to come back and see more! Paul is now on his research cruise on board the Lance, just like last year. Today they are receiving journalist and VIP visitors on board, including the secretary-general of the United Nations (Ban Ki-Moon). Or that was the plan, at least – I just read on the local news website that Ban Ki-Moon wasn’t able to reach Lance by helicopter due to bad weather. That’s a shame! 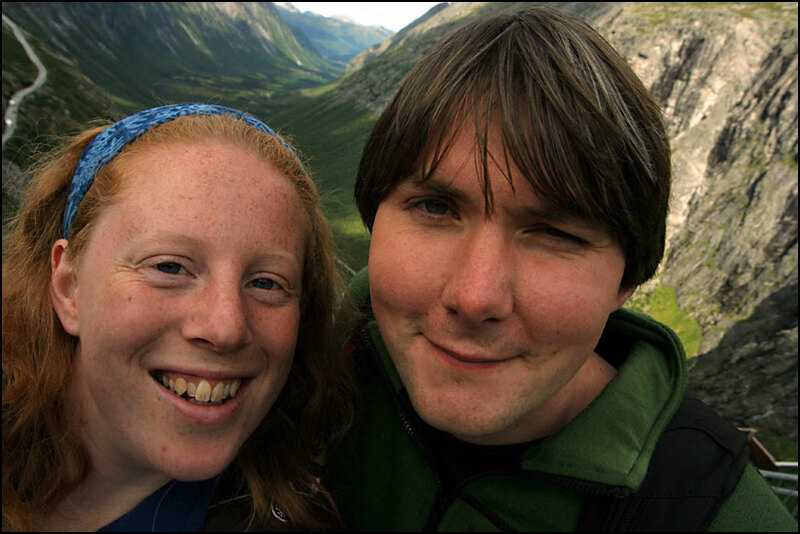 I have been busy with friends visiting here in Tromsø, and I’m flying to Oslo tomorrow morning, to meet up with Nicole and Patrick for 2 days. Should be fun! After that I’m flying to the Netherlands to spend some time with my family. 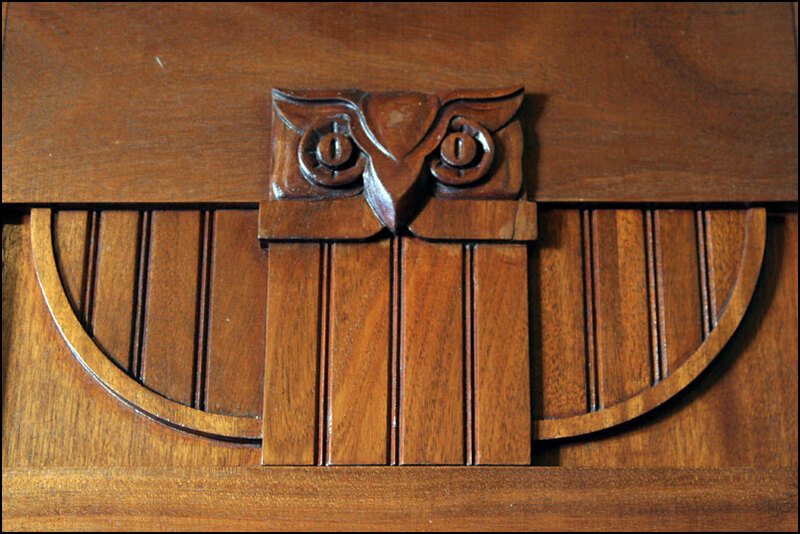 It’s not all holiday though, my viva (PhD defense) is coming up very soon… scary! First, just let me say thank you very much for this blog. I've been wanting to live in northern Norway for a few years and it's great reading about your lives there. Second, Seilet Hotel looks amazing! It's great how it reflects the water. I wonder what it's like inside. I bet it's expensive to stay there. 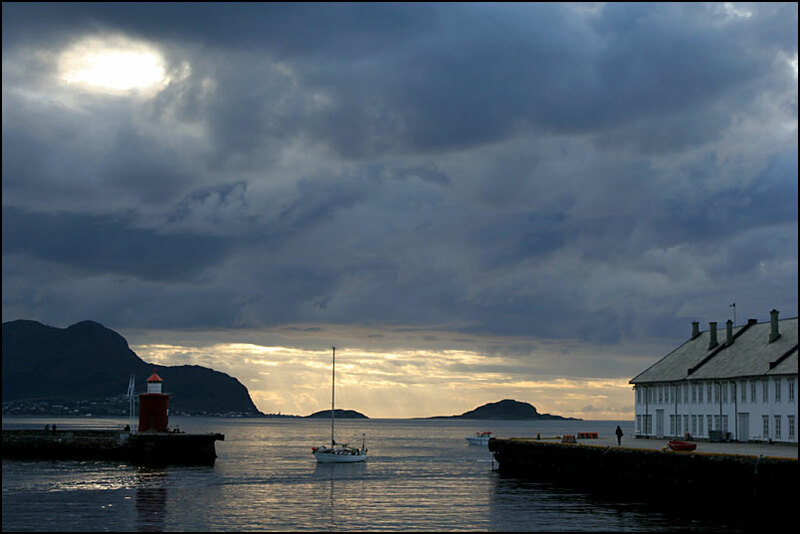 Third, Ålesund looks too beautiful for words! I've seen a few pictures already from Askla, but never from street level. I've always said that Norwegian architecture is pretty, but this tops it all. Fourth, alesundxx.jpg is a sweet little piece of photography. I thought it was a painting when I first saw the thumbnail. @Marga, ik heb je via Facebook al een reactie gestuurd, maar nogmaals heel veel plezier op 10 september 🙂 Plaats je wat foto's op je blog? 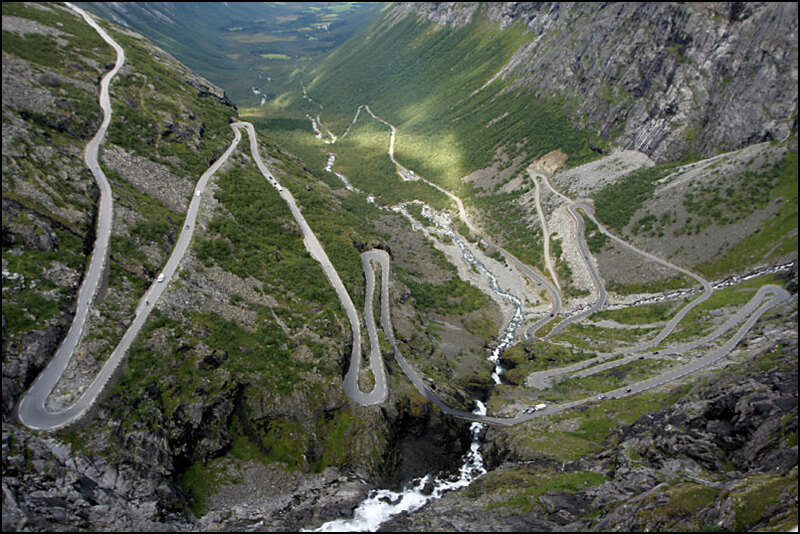 Cyclists are allowed on Trollstigen, I saw several going up and none going down… I have a lot of respect for people cycling up there! Thanks again! 🙂 Isn't the internet great, letting you travel from your desk? 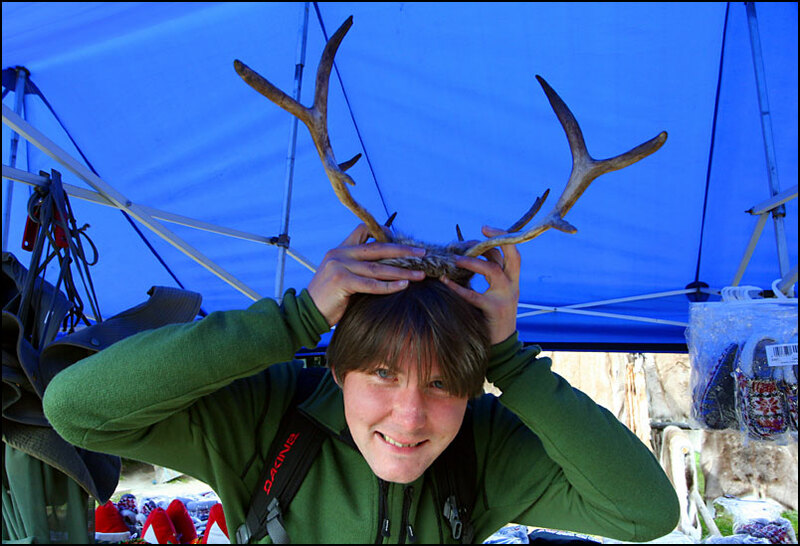 My PhD defense went well, I passed!